The dharma of the fourth varna involves much physical exertion and effort in its practice. Outwardly it may seem that its members do not enjoy the same status and comforts as others do. But we must note that they are comparatively free from the discipline and rituals to which the rest are tied down. In the past, they knew more contentment than the other castes, living as they did by the side of the lord. Vyasa himself says: "Kalih saduh, Sudrah saduh" (The age of Kali is no way inferior to other ages nor the sudras inferior to other castes. Kali is indeed elevated and Sudras exalted. ) In other yugas or ages Bhagawan is attained to with difficulty by meditation, austerities and puja, but in Kali he is reached by the mere singing of his names. The Brahmin, the Ksatria and the Vaisya are likely to have self pride, so they cannot attain atmic liberation easily. The Brahmin is likely to be in vain about his intellectual superiority, the Ksatria about his power as a ruler and the Vaisya about his wealth. So these three varnas will tend to stray from the path of dharma. A member of the fourth varna, on the contrary is humble. Has not Valluvar said, "Humility raises one to gods"? This is the reason why the Sudra, being humble, resides by the side of the lord. One must not be subject to one's ahamkara or ego-sense. It is as a means of effacing their ego and making them deserve the grace of Isvara that the first three castes are authorised to learn Vedas and to perform the Vedic rites. Performing Vedic rites implies a number of restrictions in the matter of food, habits, etc. It is only with the "pathya" of this discipline that the medicine called the Vedic dharma will be efficacious. Any lapse in the observance of the rules of personal conduct and religious life will be a serious offence and it will have to be paid for by suffering. So the first three castes must be ever careful about their religious practices. The fourth varna is free from most of these restraints. The labour put in by the Sudra will cleanse him inwardly: it is his Vedic observance; it is his God; and through it he easily achieves perfection. 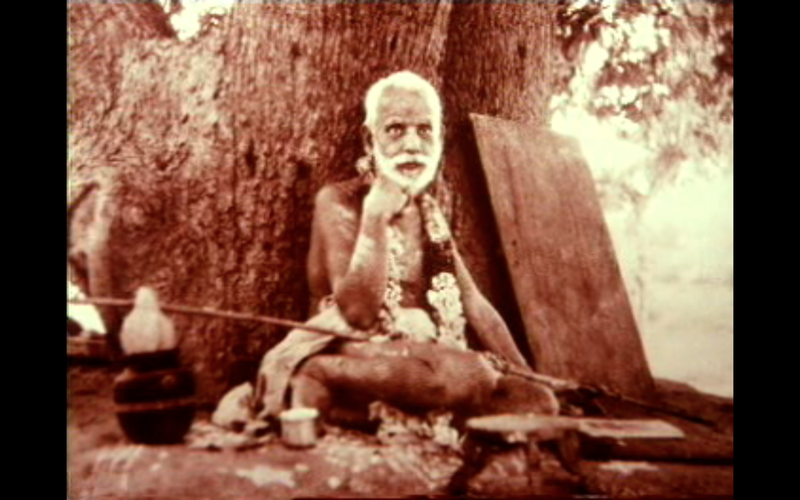 This is why Vyasa proclaimed, raising both hands, "Sudrah sadhuh"
If a Sudra does not have enough food to fill his belly, if he does not have enough clothing, and if he does no roof over his head to shelter him from rain and sun, the whole community and the government must be held responsible- and both must be held guilty. I repeat that the Brahmin's means of livelihood was in no way better than the Sudra's, nor did he enjoy more comforts than members of the fourth varna.